Neil Hamrick's eyes glistened with tears as he was presented the Maryland Distinguished Citizen Proclamation by Gov. Larry Hogan's Deputy Press Secretary Lorena Rivera. A letter sent to the Governor and County Executive's offices describes Hamrick as "a selfless individual who works tirelessly behind the scenes and in front for the Fisher House organization." The presentation was made during Hamrick's 7th Annual Bluegrass Marathon Jam on Feb. 27, proclaimed "Neil Hamrick Day" by Hogan. Representatives from the County Executive's Office, Knights of Columbus and Fisher House Foundation were also in attendance and acknowledged Hamrick's contributions. The Marathon Jam is a twelve hour musical event founded in Chapel Hill, NC, that raises money to help the families of injured Soldiers and First Responders. In eight years, The Marathon Jam has raised over $100,000 for the Ft. Bragg Fisher House and Marathon Jams in ten other states have raised over one half Million Dollars for Fisher Houses around the country. The 7th annual Marathon Jam for the Ft Bragg Fisher House will be held Saturday, March 21st from 1 PM to 1 AM at the American Legion Post 6 in Chapel Hill, NC! Once again founder John Santa and his fellow Marathon Jammers are playing music for twelve straight hours to raise money to support the families of injured soldiers! every single tax deductible penny we receive will stay here in North Carolina, as it has every year! Once again we welcome Marathon Jam at Chapel Hill founder John Santa and his fellow Marathon Jammers as they play music for 12 straight hours to raise money to support the families of injured soldiers at the American Legion. This annual event just keeps getting bigger, better and more support. Last year's Chapel Hill 2014 Marathon Jam raised $18,000 for the Ft Bragg Fisher House. John Santa, founder of the Marathon Jam campaign to raise money for the Fisher House, happily announced that they have broken $12,000 for the Fort Bragg Fisher House. Now the question is, can they break $13,000 or, do they dare to dream for that $15,000 mark? Yes. Not only can they dream but, your contributions can help them reach their goal. While the official Marathon Jam was held February 22nd, that doesn't mean you still can't contribute and, better yet, plan for next year too. Visit http://marathonjam.com/ for details on how you can help this fine project. The WNGJ (Wednesday Night Garage Jammers) will hold their 3rd Annual "Mostly Bluegrass" Marathon Jam on Saturday Feb 25th 2012, from noon till midnight, at the American Legion Post 276 , 8068 Quarterfield Rd, Severn MD 21144. This is a 12 hour marathon jam session to benefit Fisher House Foundation. This jam session will be held simultaneously with several other cities across the US and in Baghdad Iraq, Afghanistan and possibly Germany. This is the 9th year for the Marathon Jam and the 3rd year for Baltimore. 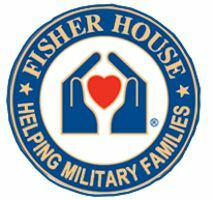 The Fisher House (www.fisherhouse.org) is an organization that supplies room and board to the families of soldiers recovering in VA hospitals away from their homes.